The GEC- Global Entrepreneurship Congress is all set to take off today at HILTON Bomonti, Istanbul- 16th-19th April 2018. 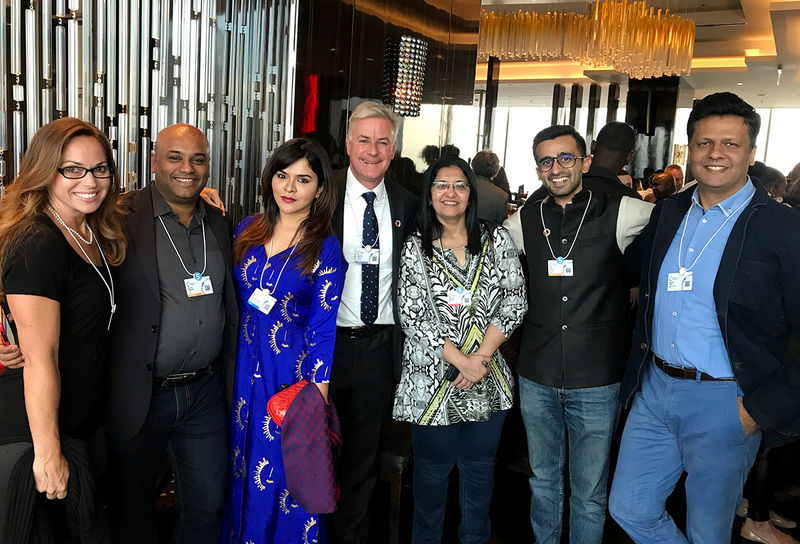 At a pre networking meet at the venue, the key leaders of GEN (Global Entrepreneurship Network) met together with other business leaders, investors, Diplomats from various countries, entrepreneurs and ecosystem builders. It is a proud moment to represent Chitkara University, India at GEC and be a part of the special Indian delegation. The delegation is led by Mr. Amitabh Kant-CEO-Niti Aayog, Yatin Thakur-Managing Director GEN-India and Srinivas Kollipara-Co Founder-T-Hub, Hyderabad.The Indian delegation of 10 members is all set to interact with global leaders tomorrow including the honourable President of Turkey, Mr. Erdogan. Mr. Jonathan Ortmans -Managing Director-GEN Global had a picture moment with the Indian contingent. Special thanks to GEN India Managing Director India Mr. Yatin K Thakur. GEC brings together entrepreneurs, thinkers, Diplomats, Global leaders, Innovators and Investors on to one common platform to network and engage.